Dessert anyone? I thought these were pretty. I would never have the patience to make them. They would probably also have my big thumbprint all over them. 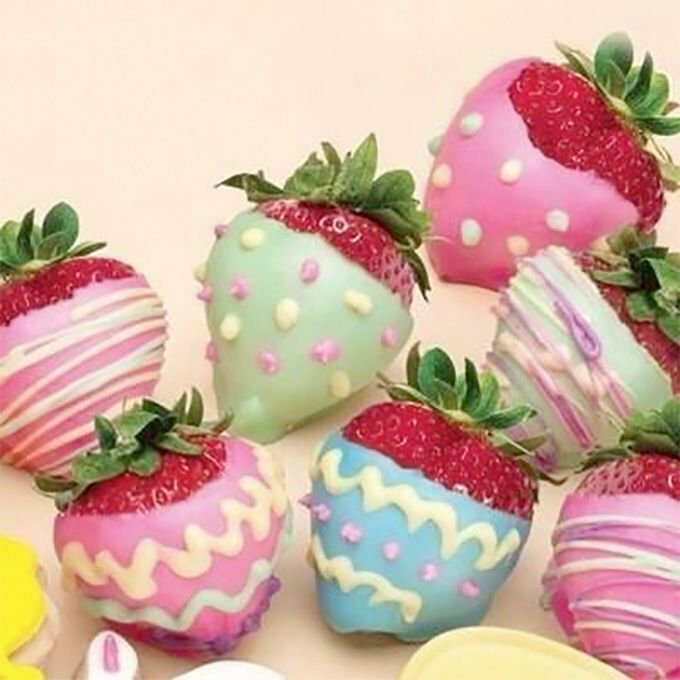 They look so good, I would love to eat one or two or... Hope you have had a great day. I took this picture in Rome, Italy. 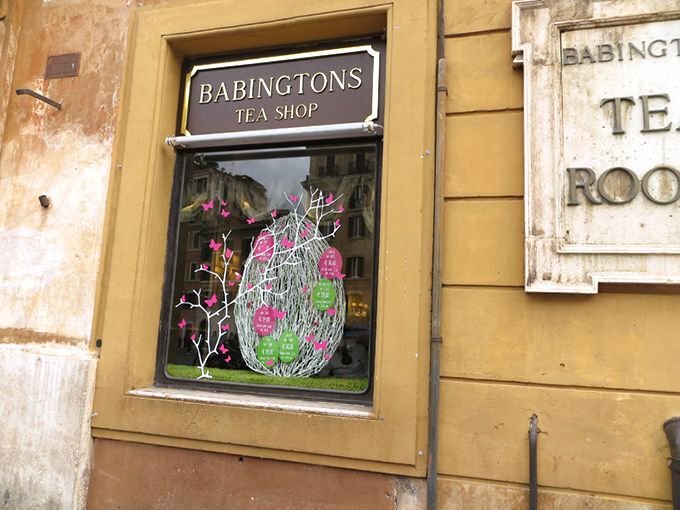 This great tea shop is right next to the Spanish Steps. This may have been taken in Hong Kong?? 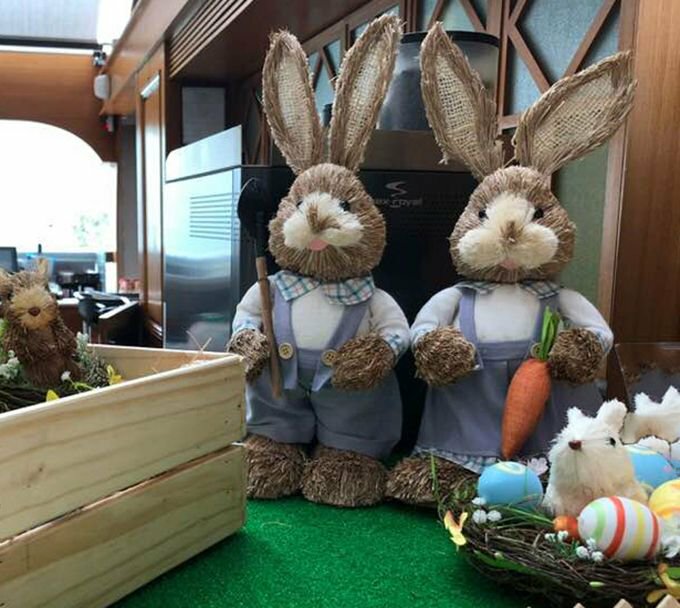 I love the bunnies. Another picture I took in Florence, Italy. 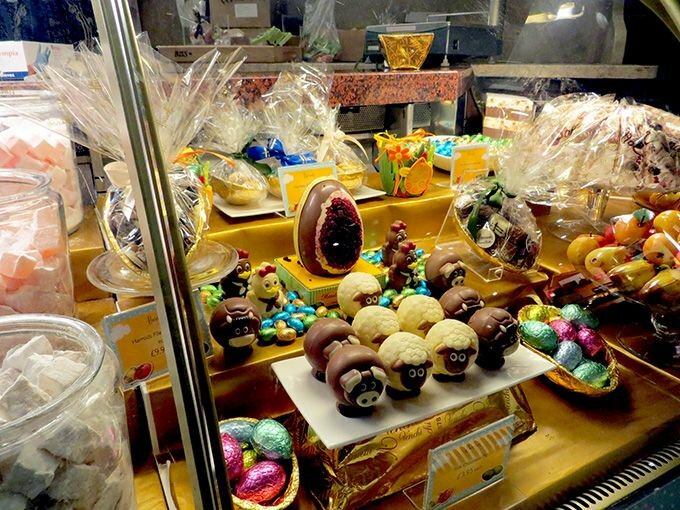 The shops were full of so many chocolate edible works of art. 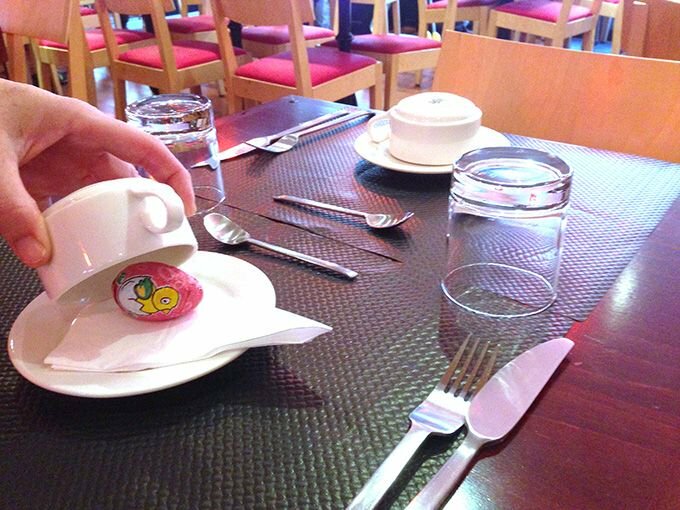 One of my favorite Easter surprises was finding an Easter Egg under our coffee cups at our hotel in Paris.